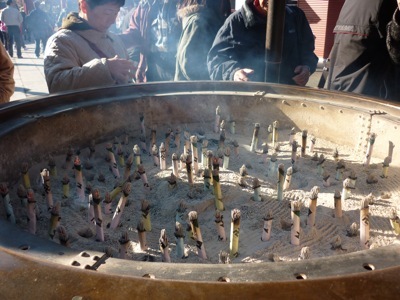 Sensoji (淺草寺) is an ancient Buddhist temple. 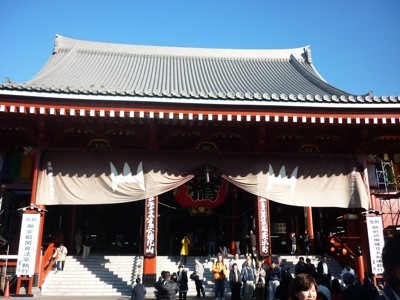 This oldest temple in Tokyo is home to Kannon or Goddess of Mercy. It is different from what we see back home, the Goddess of Mercy is hidden from public view. Founded in the 7th century, the temple attracts a huge number of visitors and it is one of the liveliest temples around. At the main entrance, one can’t help but notice a huge lantern hanging at the gate. 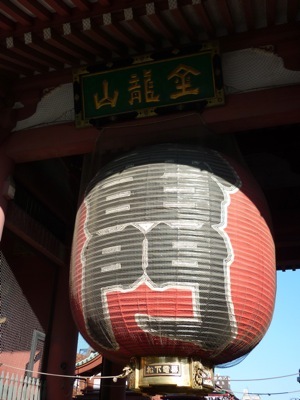 The giant red lantern which carries the words “thunder gate (雷門)” has become Tokyo’s iconic landmark. My wife and I checked out our fortune by shaking a container until a bamboo stick bearing a number in Japanese popped out from the container. This number corresponds to the fortune you are supposed to get which is written on a piece of paper. To get the paper, look for the drawer that carries the same number. ¥100 for one fortune. I got good fortune but my wife didn’t. 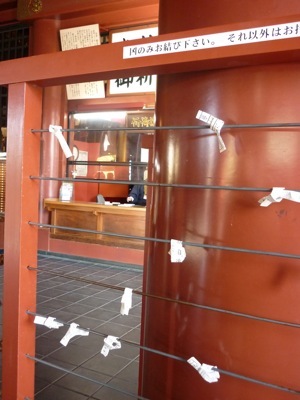 According to Japanese tradition, if you get a not-so-good fortune, you can neutralize it by tying the paper on a wire provided there. 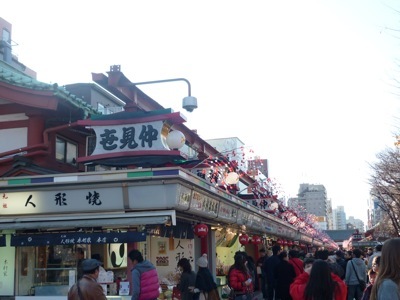 On both sides of the road leading to Sensoji are numerous stalls selling food, clothing, souvenirs. This is Nakamise Street. We had bought a few things here, especially toys. And we also tried out one of their snacks here.